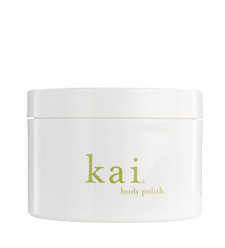 a luxuriously foaming kai-scented bubble bath. our exclusive formula blends moisturizing vitamin e-rich argan oil with naturally cleansing coconut and sugar derivatives, leaving the skin soft, supple and glowing. a light blend of exotic perfumes and natural essences, including palm, coconut and olive oil, infused in a hypo-allergenic sponge to cleanse, exfoliate, and moisturize the skin. 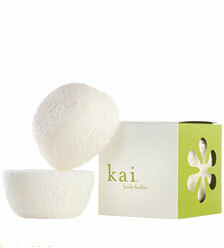 packaged in a set of two sponges that release kai scented foaming bubbles when wet. 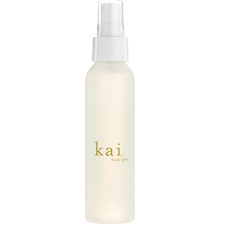 a lustrous and naturally hydrating body mist. the dry oil spray moisturizes the skin and leaves a radiant glow. 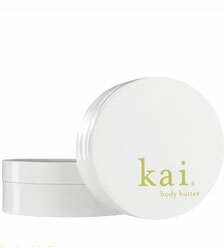 the body polish combines exfoliating salt with hydrating sugar for healthy and glowing skin. a cleansing and foaming body wash, which also hydrates the skin. contains extracts of comfrey, cucumber and ivy. a smaller version of our fragrance candle. great for intimate rooms or for travel. 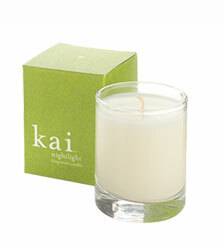 our largest slow-burning candle, now crafted with an all-natural proprietary blend of soy, palm and coconut wax, will fill the room with the aura of kai’s intoxicating scent. 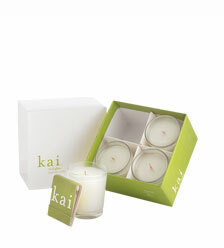 a set of 4 votive fragrance candles with kai matches. perfect for gift giving. Our vitamin-rich conditioner is uniquely infused with Vitamin E, Shea Butter, Safflower Seed Oil, Plant Extracts, and a special blend of Argan Oil and Glycolic Acid to reconstruct, detangle, and replenish hydration levels deep within the hair shaft. It helps restore vibrancy, strength, and smoothness, and will leave hair feeling soft, silky, frizz free, Kai-scented, and full of elasticity and moisture. This formula is free of sulfates, parabens, phosphates, and phthalates, and safe for use on all hair types including chemically or color treated hair. our classic scented moisturizer contains safflower seed oil, shea butter, apricot kernel oil, and cucumber fruit extract. 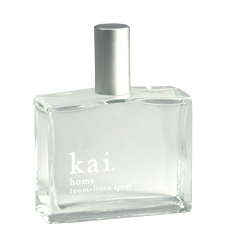 the exotic scent of kai’s signature perfume oil, delicately blended into an eau de parfum spray. 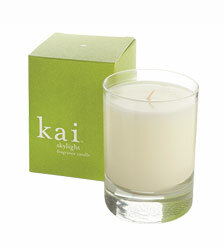 the exotic scent of kai is delicately blended into a home fragrance that will fill your surroundings with the aura of kai. use in any room or spray on your sheets at bedtime for sweet dreams. 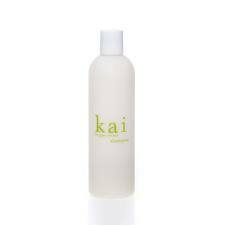 kai’s unique shampoo & conditioner formulas include argan oil and are among the first hair care products to use glycolic acid, this product is truly amazing.